So, you are a Leeds to Manchester based DJ. How do these settings influence your music? And where do find inspiration? TamTam: I am more Leeds based than Manchester. My inspiration comes from, um, DIY parties with a purpose. So, I’m very inspired by a night in Leeds called Cosmic Slop. A charity night that has amazing music, but also raises money for Music and Arts charity. And it creates awareness about important issues through dance. So, for me I think DJing has very much been influenced by ‘partying with a purpose’ and to be more specific being queer, LGBTQ. Going to queer clubs and those type of parties inspired me to start DJing. The first ever night I DJed was at a lesbian night in the university (of Leeds). I felt like, because it was a queer space it gave me permission to DJ on like a kind of more straight male space. So, queer spaces in Leeds and Manchester are my inspiration. Recently you have been involved with All Hands on Deck (AHOD). Can you talk to us about the philosophy of the project? TamTam: All Hands On Deck is a feminist DJ collective that aims to enhance the talent of people with identity backgrounds that are usually misrepresented in the music industry. Usually men, hold the ford. White men are the ones who make up the majority of DJs, the majority of producers. 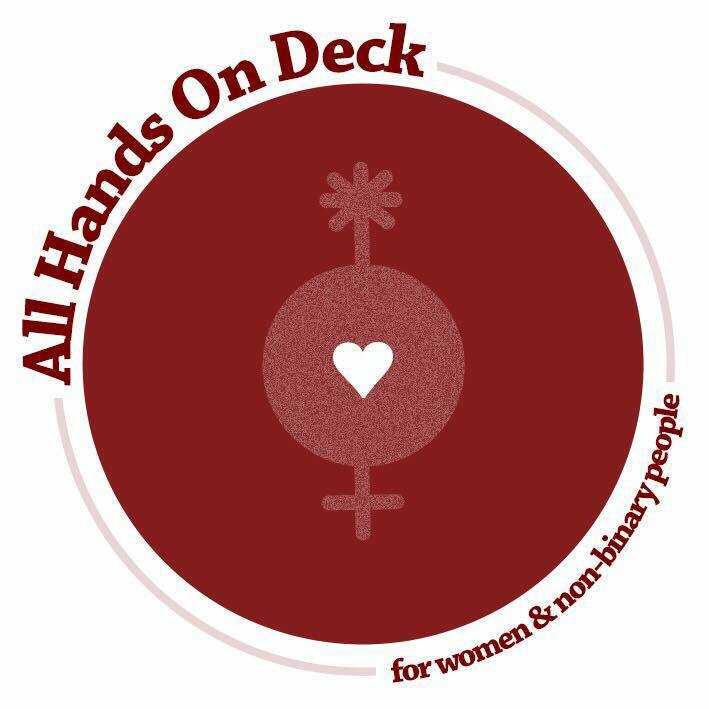 So, All Hands On Deck exists to challenge that; and they do that by offering open deck nights, which is a really great space to give people confidence. Because, the biggest barrier for women or non-binary or trans people DJing is the confidence and being able to get up on stage and play. So, AHOD offer that platform! They also run DJ workshops for beginners to get kind of a head start and have a little bit more of a confidence boost. And that is something I lead for them sometimes. You played at Lost Cove last year too. How was that experience for you? TamTam: Overall, really really fun. I had a very supportive crowd of people. I think I was one of two women on the line up so, that was quite difficult. But yeah, really good crowd and lots of people came up to me and said it was their highlight of the festival. So, you are delivering some workshops at the festival? When is that happening? TamTam: Yes, that’s going to be on theSaturday.